Now, I have the privilege of sharing some of my favorite recipes and pairing them with recent books that I’ve enjoyed listening to while cooking…or driving or knitting or while luxuriating in my bath…or any time. A perfect pairing for Lisa Wingate’s runaway bestseller might be DEBBIE’S MOM’S BORSCHT. My grandparents immigrated from Ukraine and brought with them the recipes that have been shared from one generation to the next. This recipe is far more than food, and more than a soup–it’s family history, heritage and love from grandparents I never had a chance to really know. Lisa is a friend and a talented author. You will enjoy both the story and the borscht. We lost a stellar storyteller when Pat Conroy died. Because I stand in awe of his talent, I wanted to know which books captured his attention. I was inspired by his enthusiasm and love of the written word, and have since purchased several he mentioned, and yes, I got them on audio. If I were ever to have the chance to sit down with Pat and serve him dinner, this is the recipe I would choose: GUINNESS POT PIE (pictured above). I know he’d enjoy it as much as I do. Slap your hand across your heart when you listen to Mary Neal’s breathtaking story of experiencing death while on a kayaking trip in Chili. Death, heaven, and then life again. The details had me sitting in my car in the driveway, unable to stop listening. GRATITUDE BREAD (pictured above) would be a perfect recipe to prepare while listening to Mary’s story. How short life is, and how grateful I am for every moment of my own. When I first saw the title of John’s latest book, I mistakenly thought it featured one of our Puget Sound islands. However, one single vowel change in the title, from an “i” to an “a,” moved the setting from Washington state back to where John Grisham intended it to be! Still, I found it fitting to pair this audio with a wonderful salmon dish, because who can resist any book by John Grisham, or GARLIC SALMON PASTA IN A SPICY CREAM SAUCE. Now that’s a winning combination. Debbie Macomber is the author of many New York Times bestsellers, such as Any Dream Will Do and If Not for You. 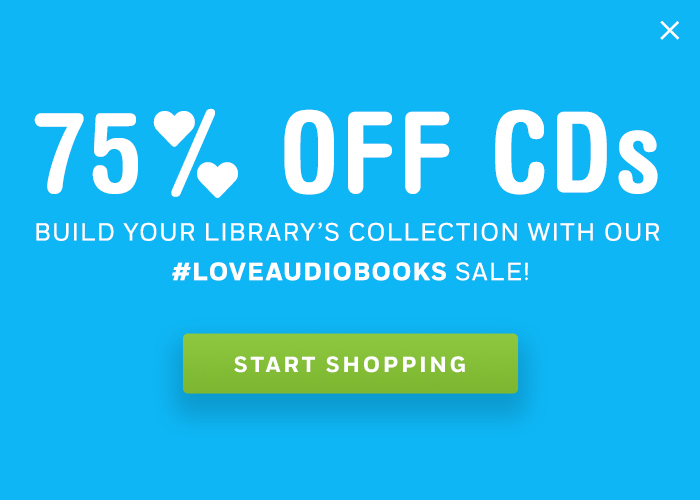 Her audiobooks are the perfect companion for your patrons when they craft, cook, garden, or just relax at home. 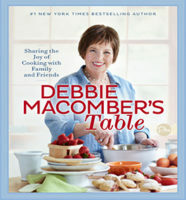 Share more of these delicious recipes with your patrons by offering them her cookbook, Debbie Macomber’s Table.